The politics of Tamil Nadu may have been vastly different if Biju Patnaik’s master plan of September 1979 had succeeded. He had attempted, and nearly succeeded, in what would appear to be an impossible dream today- the merger of the DMK and the AIADMK. India got its first non-Congress government at the Centre in 1977, after Indira Gandhi’s Congress was routed because of the Emergency excesses. The Janata Party government was suffering from congenital maladies; it was never in good health since its formation. The period between 1977 and 1979 was one of political uncertainties. Public perception about the government in New Delhi was marred by the naked power struggle among its top leaders. Clashing prime ministerial ambitions of Jagjivan Ram and Charan Singh resulted in a veritable deluge of bad publicity for the ruling party. In July 1979, Raj Narain and Charan Singh pulled out of the Janata Party on the flimsy reason that many of the Jan Sangh members continued to be members of the Rashtriya Swayamsevak Sangh. The left leaning bloc in the Janata Party included leaders like Madhu Limaye, Krishnan Kant and George Fernandes. Morarji Desai was forced to resign and Charan Singh was sworn in as the caretaker Prime Minister, with tacit support of Indira’s Congress Party. Indira demanded her pound of flesh in the form of withdrawal of the cases filed against her for the Emergency excesses. However Indira’s blackmail did not work, Charan Singh refused to withdraw the Emergency related court cases, and she withdrew support. 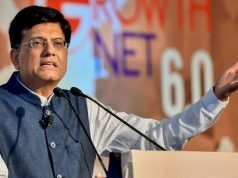 His government could not even face the Lok Sabha during its brief tenure of just 24 days. Biju Patnaik was then the Union Minister of Steel both under Morarji Desai, and thereafter Charan Singh. He was a known strongman in the Party and had a good rapport with all the leaders of different parties. He could read the writing on the wall: India was heading towards fresh elections. MG Ramachandran was the then chief minister of Tamil Nadu. The thespian actor-politician had a cult following. His party AIADMK, floated in 1972 after the split with the DMK over differences with M Karunanidhi, had come to power after just five years of its formation. MGR was two years into his first term as Chief Minister, and had supported the Charan Singh government at the Centre, but the wily south Indian politician knew that elections were looming on the horizon. He was aware that the Janata party’s repeated debacles in its short stint were propelling Indira Gandhi back into the popularity charts. He sent feelers to her, but the wary Indira adopted a cautious stand. A meeting was fixed between the two at Delhi for the 6th September, but was called off in the last moment. Biju got wind of the scheduled meeting, and on his advice, Charan Singh arm-twisted MGR, threatening to drop two of MGR’s cabinet ministers from the government. The confused MGR cancelled his Delhi trip and did not meet Indira. At this juncture, Biju Patnaik entered the scene. He made an impossible plan of merging the two Dravidian parties- the DMK and the AIADMK. 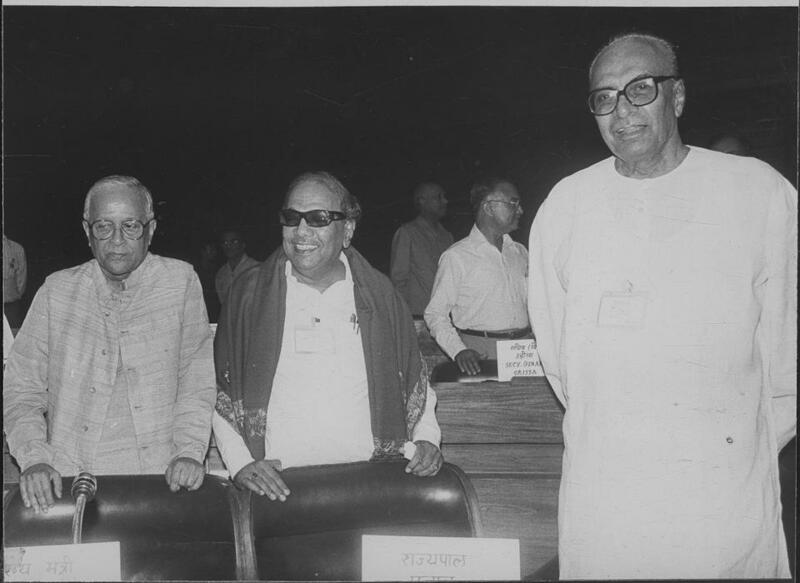 Biju had a very good rapport with DMK Chief M. Karunanidhi, especially following DMK’s nation-wide movement for state autonomy vis-a-vis Centre-State relations in the early 1970s. On the 11th Sept, Biju Patnaik asked for an appointment with Karunanidhi to discuss an important issue. The next day he landed at Madras and met him at his residence. Karunanidhi recalled that when he asked Patnaik whose idea it was of merging the DMK and AIADMK, Patnaik replied that it was MGR’s. It was only years later that Karunanidhi came to know that Biju Patnaik played the same game with MGR. He had told him that it was Karunanidhi’s idea! In what seemed a win-win situation for both the parties, Karunanidhi agreed to MGR continuing as Chief Minister. In lieu, Karunanidhi would be Party President for life. The contentious issue of retaining the DMK name was resolved, with the concession that the AIADMK flag would be the party ensign. Besides, the DMK had properties and buildings in various places all over Tamil Nadu, and it was also the party founded by Anna. Hence the name DMK would continue. Biju Patnaik was elated since he had expected much tougher terms for what seemed impossible. In fact, Karunanidhi writes that a very happy Biju hugged him after he gave his consent. Biju arranged for a meeting between the Chiefs of the two parties at the Chepauk Guest House the next day. Both MGR and Karunanidhi had a one-on-one meeting in a separate room, while Biju and the top brass of both the parties comprising DMK General Secretary Prof. K Anbazhagan and AIADMK’s Nedunchezhian and Panruti Ramachandran met in the sidelines. Following the meeting, the two sides agreed to the conditions, and the leaders decided to convene emergency Executive Council meetings of their respective parties to pass resolutions on the merger. It was decided that MGR would convene a meeting of the Executive Council of his party near Vellore the next day and that Karunanidhi would conduct a similar exercise in Chennai. 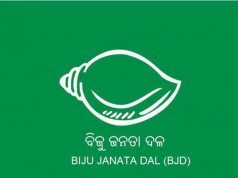 Media reports of Biju Patnaik’s involvement in the merger spread like wildfire. He quietly flew back to Delhi, with hopes of having succeeded in scuttling the Congress’s plans. When reporters asked Kalaignar he said `‘What is wrong in the merger of DMK and ADMK?” However the next day, at a public meeting in Vellore, MGR surprisingly did not speak about the merger and instead his ministers lashed out at the DMK. The DMK leaders too started airing their dissent. Speaking to the media, Kalaignar blamed the AIADMK. He said, “No follow up actions on other side. I think the poll alliances of the two parties will be different.” After Vellore, it was the end of the road for the merger and talks did not continue. For Biju Patnaik, it was a failed attempt to put a check on the Congress rising. He just shrugged off the incident as another unsuccessful venture. Indira Gandhi came to know of the developments and Biju’s role. She sent her close confidante C.M.Stephen to Tamil Nadu, who contacted Murasoli Maran and repeatedly urged him of forget the past and conveyed Indira’s desire for alliance with the DMK again. Indira Gandhi desperately needed some props in Tamil Nadu. The DMK had supported Indira Gandhi’s actions for nationalisation of banks and abolition of privy purses. Its support to the candidature of V.V.Giri in the Presidential elections had ensured his victory. However the DMK had not forgotten the dismissal of its government in 1976 and opposed the Emergency. Many DMK cadres had been imprisoned under the draconian MISA, including Karunanidhi’s son M.K.Stalin, and were subjected to inhuman torture in prison. In fact earlier that year in June, during a black flag demonstration, Indira Gandhi was attacked by DMK men at Madurai. They were protesting against her for the dismissal of their government. However Indira held out an olive branch. Stephen held a juicy carrot dangling on a short stick. Karunanidhi too, like MGR, had sensed the imminent disintegration of the Janata rule. Under the excuse of national stability, he aligned with Indira Gandhi. He had famously said: “Nehruvin magale varuga. Nilayana Aatchi tharuga”. (Welcome to the daughter of Nehru. Please provide a stable rule). His strategy proved right. In the 1980 Parliamentary elections the DMK won 16 seats while the AIADMK could get only 2 seats. In fact, the Congress-led coalition secured 37 out of the 39 seats. More than 38 years after Biju Patnaik’s failed mission, Karunanidhi still recollected the events during each election run up. 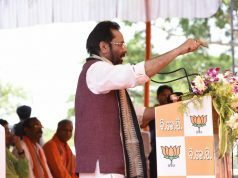 He blamed one of MGR’s ministers for the debacle and lauded the effort of Biju Patnaik. In May 2012, during the Odisha Day celebrations at the Madras University, where Chief Minister Jayalalitha shared the dais with Naveen Patnaik, she showered praises on Biju Patnaik and described him as a “father figure”. “There was a natural synergy between myself and Biju Patnaik. He left behind a legacy of respect, cooperation and mutual affection. This legacy is reflected in the bond that I continue to share with Naveen Patnaik, she had said. The very next day, Karunanidhi, in a letter addressed to the party cadres, recalled Biju Patnaik’s efforts for the merger of the two Dravidian parties in 1979 and said the attempt failed due to the AIADMK. Even in Tamil Nadu elections of 2016, Biju Babu’s name had cropped up in various election rallies of this Southern state, both from the DMK and the AIADMK.